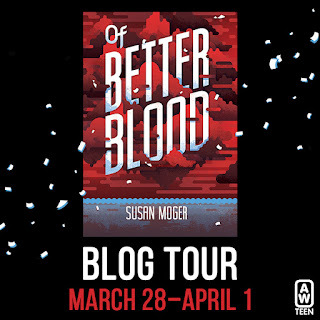 Good Choice Reading: Of Better Blood by Susan Moger - Blog Tour & Giveaway! 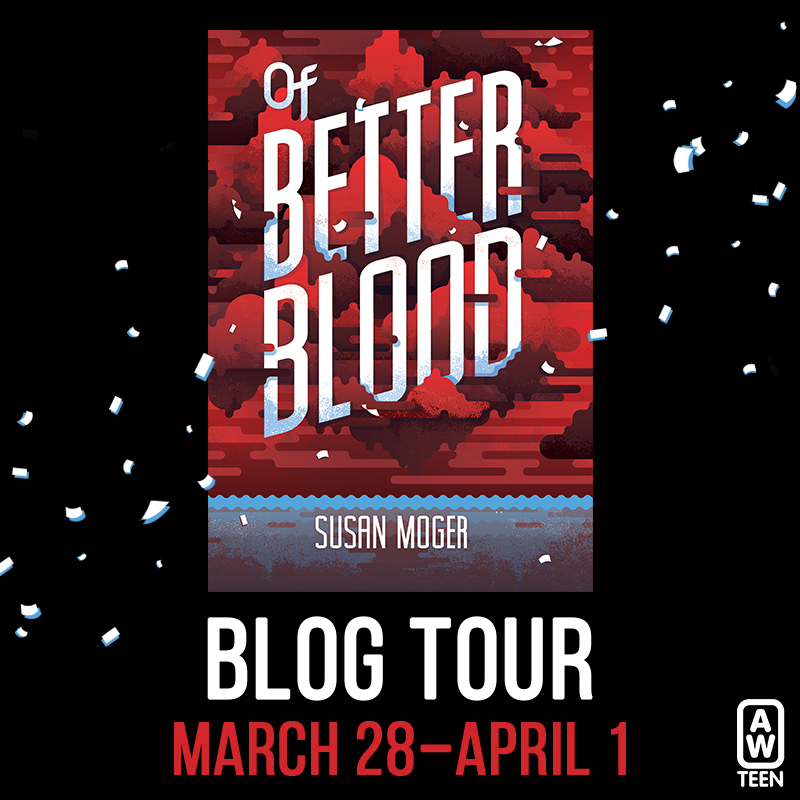 Of Better Blood by Susan Moger - Blog Tour & Giveaway! 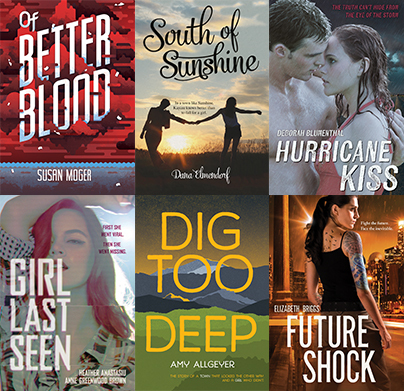 Welcome to Day #3 of the Of Better Blood Blog Tour! 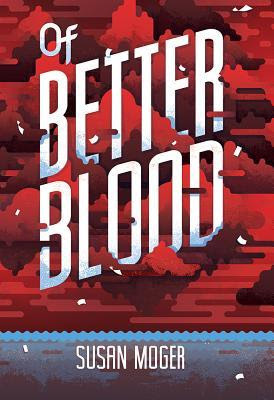 To celebrate the release of Of Better Blood by Susan Moger (2/1/16), blogs across the web are featuring exclusive content from Susan and 5 chances to win a SIGNED copy of Of Better Blood, as well as a chance to win a 6-book YA Prize Pack in the Grand Prize Giveaway! I did a lot of research as I wrote my YA historical novel, Of Better Blood, the story of Rowan Collier, a sixteen-year-old girl who has to overcome physical limitations of polio to save herself and others from eugenicists (believers in eugenics, the false science of bettering the human race) who have labeled her and other teenagers “unfit.” I wanted the fictional story to develop and grow from facts. Here are some examples of using facts to create fiction. 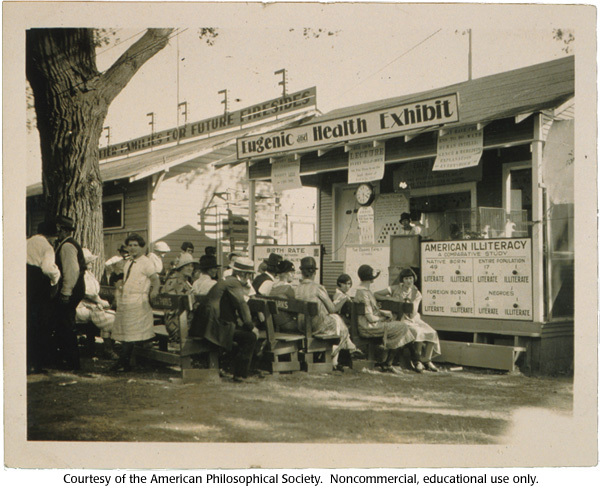 FACT: Eugenics groups lectured to audiences at county and State Fairs in the 1920s, spreading their message that only “Fit” people should have children and the “Unfit” should be sterilized. FICTION: In Of Better Blood Rowan is taken to the New England States Exposition to play the part of the “crippled daughter” in “The Unfit Family Show.” To my knowledge, and I searched very hard, no such “show” ever took place. But it could have…and that’s what counts in historical fiction. FACT: Labeling was a key element of eugenics thinking. “Unfit” was an umbrella term that included “feeble-minded, defective, imbecile, moron”. By law in many states people labeled in this way were sterilized, often without their knowledge, to prevent them from adding more unfit Americans to the population. Euthanasia, sanctioned killing unwanted members of society, never caught on as an option for dealing with the “unfit” in the United States. In the 1930s in Nazi Germany, however, killing the unfit became an integral part of the government program to improve society. FICTION: In Of Better Blood, a group of eugenicists decide that killing the unfit is more cost-effective than sterilizing them. The events in the novel that describe this plot are wholly imagined. “Detection + Selection + Correction = Perfection” is the motto I created for this group. It refers to detecting an unfit person, selecting him or her for sterilization or death, correcting the perceived threat by sterilization or death, and thus taking a step toward a perfect society of “fit” individuals. FACT: I tried this several times on a calm day in the ocean in Maine, but each time I stood on one leg, the water knocked me over. So… I ignored that “Fact” and decided that Rowan is strong enough to stand on one leg long enough to catch a wave. Sometimes story just has to triumph over fact! Stop by Reading Teen Tomorrow for Day #4 of the tour! One (1) winner will receive a 6-book YA Prize Pack featuring AW Teen's spring lineup (Of Better Blood by Susan Moger, Girl Last Seen by Heather Anastasiu and Anne Greenwood Brown, Hurricane Kiss by Deborah Blumenthal, Future Shock by Elizabeth Briggs, Dig Too Deep by Amy Allgeyer, and South of Sunshine by Dana Elmendorf).